GWANDA - Phresh, a 24-year old upcoming RnB artist who is doing electrical engi-neering at Joshia Mqabuko Nkomo Polytechnic has taken Gwanda Town by storm. He performed in the 2017 and 2018 Joshua Mqabuko Nkomo Polytechnic graduations and in South Africa where he featured with KidMaq. He also does Afropop and ZimAfro. He produced one album called love option named after Mazifikizolo’s song entitled love portion. His birth name is Freddy Chipangura from Rusape. The album contains seven songs; that is amazing, the city, love option, dance, aint gonna die for you, come back and happy birthday. The last song was dedicated to Spirit Embassy Pastor Eubert Angels’ wife Beverly Angels on her birthday. 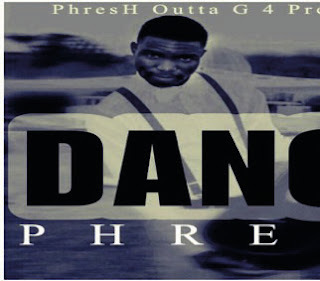 Phresh did a collarbo with a well known Bulawayo artist Calvin in 2017 and another one with a Gwanda famous artist Zhezhingtons. Phresh is in-spired by love and his role model is the late Oliver Mutukudzi. “I’m inspired by love, how people react to it. My role model is the late Ol-iver Mutukudzi, he is the man I always looked up to although our genres are different. I also produced a song called “Neria” featuring Artistry Fam-ily, it is available on Youtube,” said Phresh. “My mission is to be known worldwide, make people understand that life is not all about making noise. People say that RnB is satanic but I intend to reform their minds so that they understand that people do fall in love.” He added.